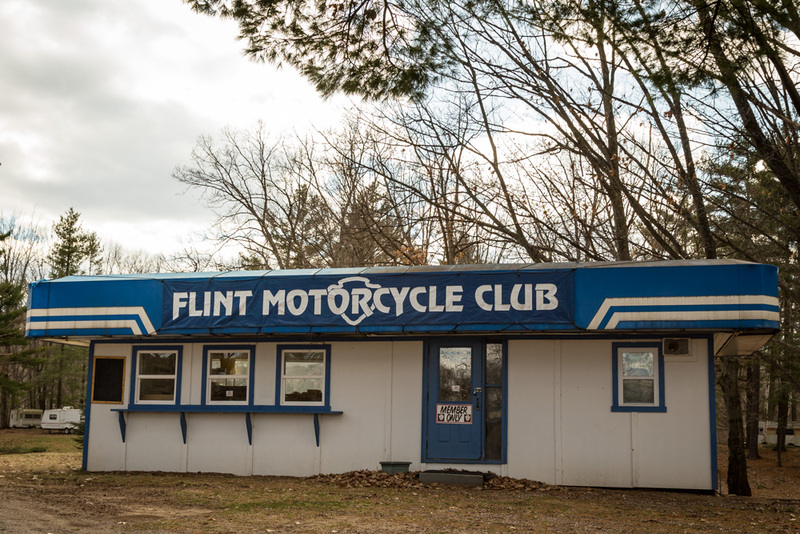 Clubs typically form when a group of people discover their shared interests; so when a club’s common interests are motorcycles and doing good for the community, the unlikely pairing becomes something to recognize. 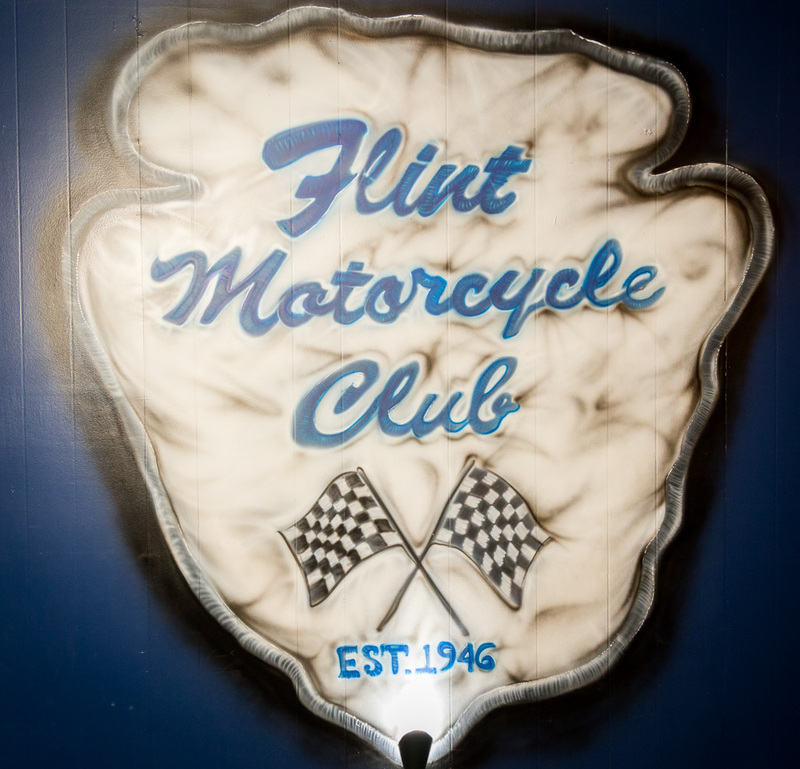 The Flint Motorcycle Club, established in 1946, is a dedicated non-profit organization that raises funds for people – especially children – who live in the community. 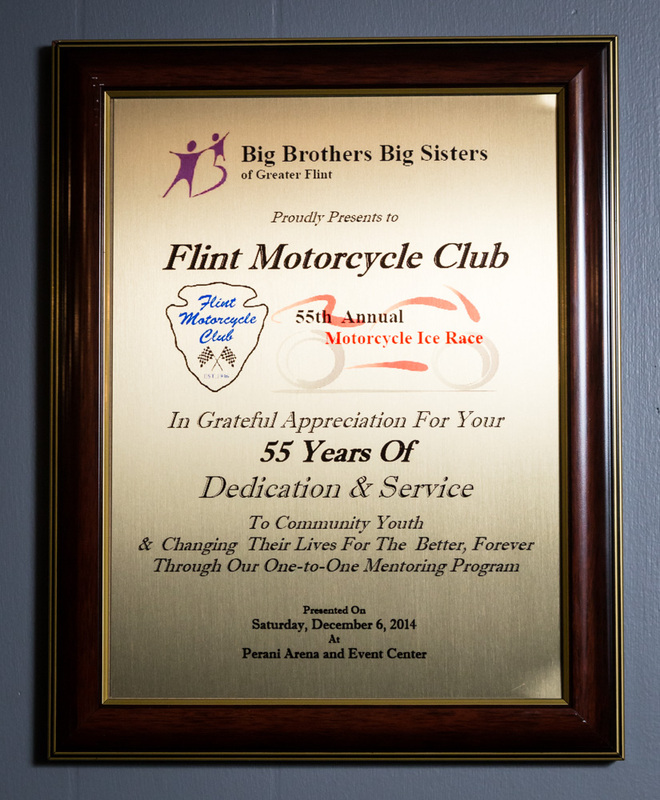 With its longest-running affiliation with Big Brothers Big Sisters of Greater Flint, which they have been dedicated to since 1959, the FMC continues to help out these “Littles” in many ways. 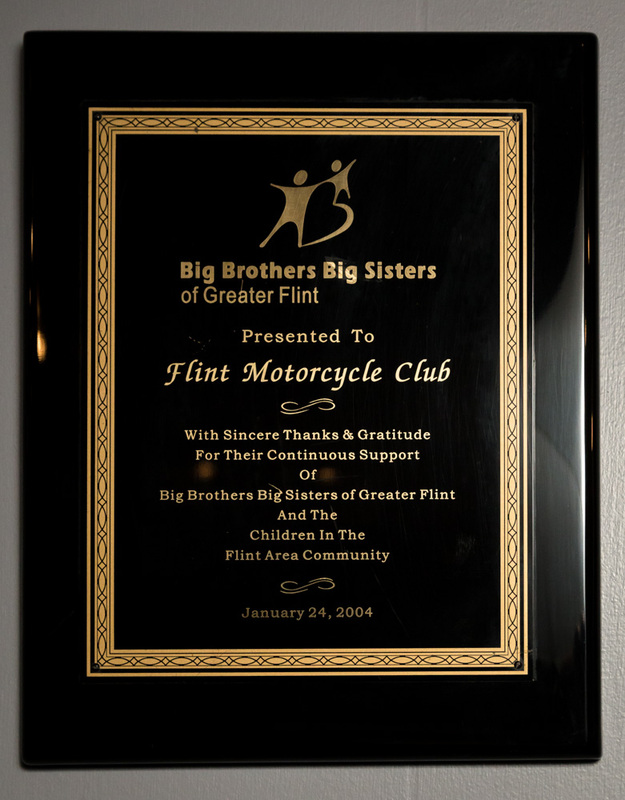 Big Brothers Big Sisters is the Club’s primary charity, top-priority, and longest-running cause. 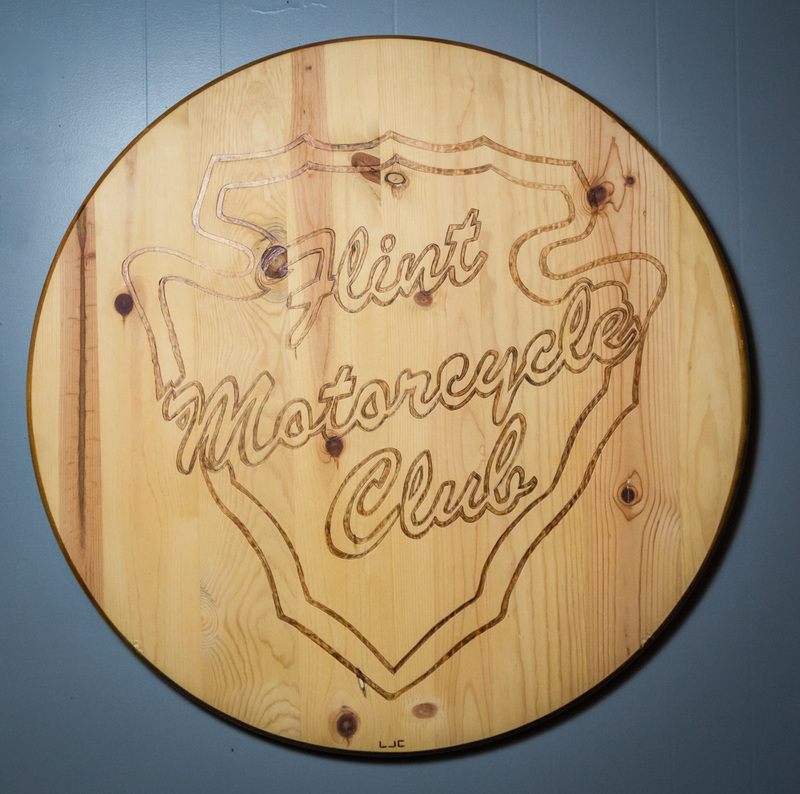 The Club has strong partnership with Scooters Bar & Grill on Torrey Road, and hosted an auction for past 15 years. The fundraiser supports recruitment of “Bigs” for the agency, because there is a substantial need for mentors. The agency serves nearly 700 youth in One-to-One matches. More than 400 youth are on a waiting list. A few years back, the Club started a toy drive for the “Littles” in the program, and now it has evolved into something bigger. 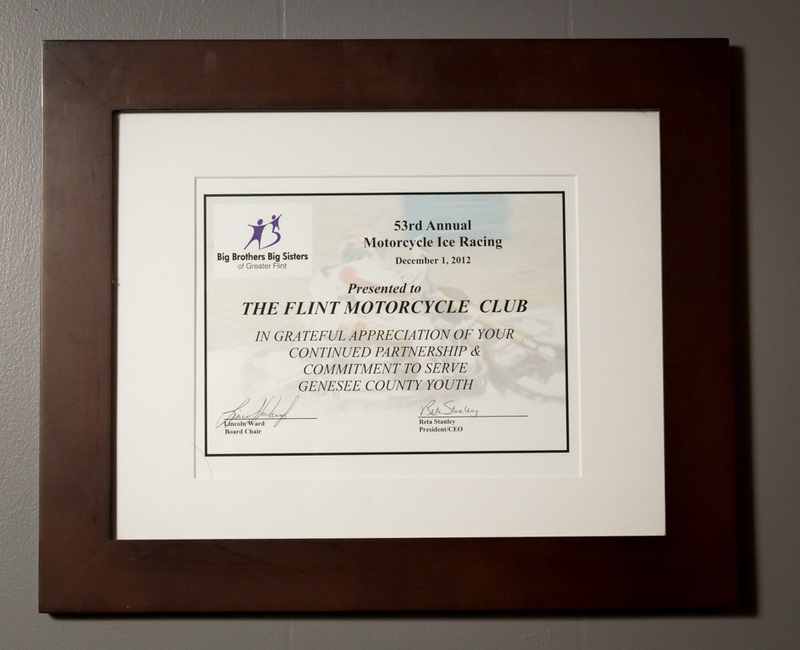 Although many of their causes come out of necessity or tragedy, the Club enjoys working with BBBS because of the positive mentorship. 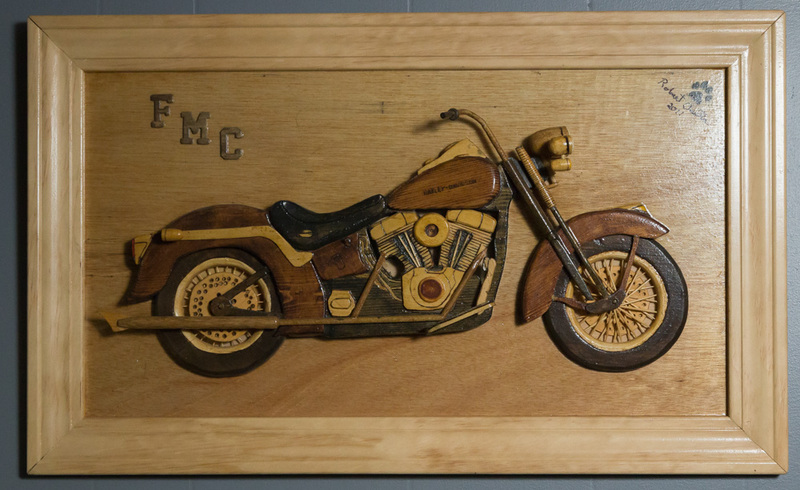 “We also do it because it makes us feel good,” says Jerome “Popeye” Lowell, FMC member. In their seventh year of hosting these outings for BBBS, they have become the highlight of the Club’s summer season. The kids enjoy bounce-houses, games, basketball, fishing, food, face-painting – all of which the Club supplies with personal donations. Last summer, approximately 200 people, including the kids from BBBS, came out to the picnic. They started these picnics so they could interact with Little Brothers and Little Sisters. In August, the Club puts together book bags for the Littles, filled with school and even dental supplies (donated by a local dentist’s office). Many local businesses donate things here and there for the picnic. “Otisville is very good to this club, and we want to be good to Otisville,” says Kelley. 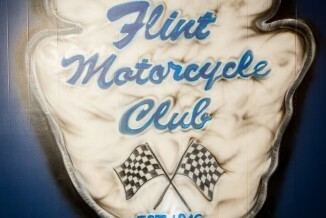 This year the Flint Motorcycle Club Picnic will take place on August 28. 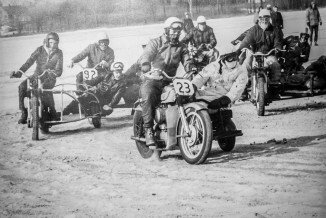 We kind of run at it head first.” Even if they aren’t hosting the charitable events themselves, they usually still find a way to contribute. Though the Club is a 501(c)3 non-profit, they describe themselves as “charity-poor;” meaning that the money they do have is always being donated somewhere else. They do host events at their clubhouse in Otisville to help them maintain the building and the grounds. 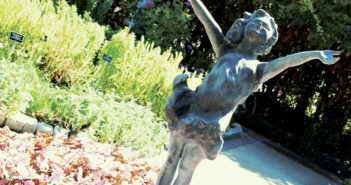 Everything on their property is maintained by FMC members and volunteers. With their weekend get-togethers, especially during the summer, they invite people of all ages to enjoy the fun during their Music Fest, which is held in July, and their BBBS picnics. 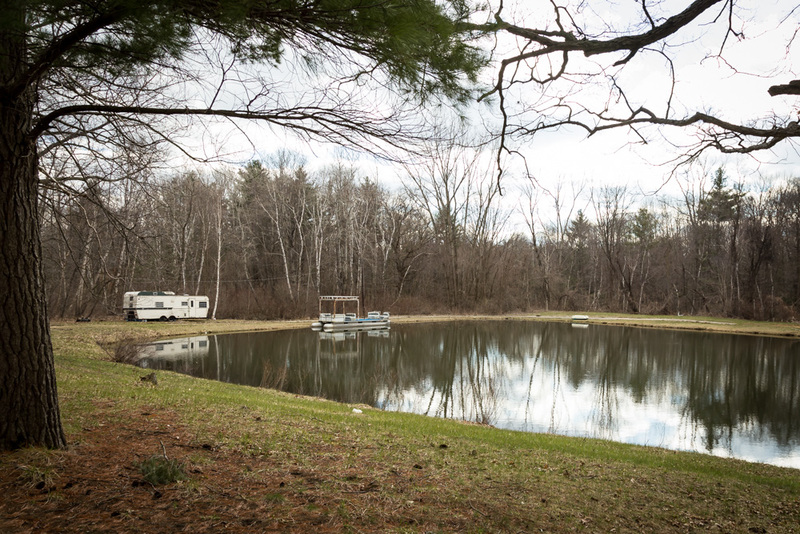 On their 40 acres of land, there is a concert pavilion, a playground, a small fishing lake, and space for kids to run and explore. Over the weekend, members and volunteers camp out in RVs and trailers, with cookouts and bonfires. When they do bring the kids out to the clubhouse, some don’t want to leave. 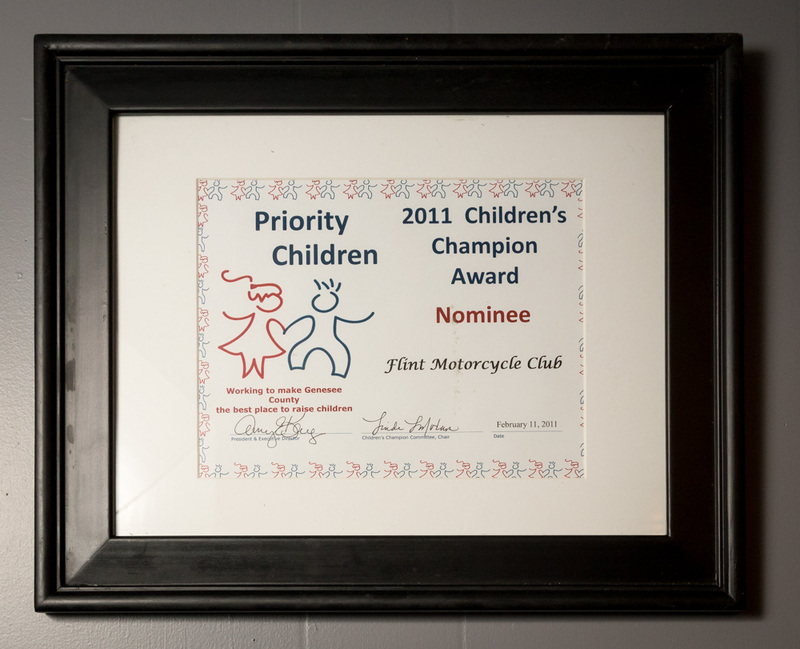 This tends to be the case for the FMC members, as well; it’s their “happy place.” They consider each other family, as their own kids grew up at the Clubhouse, too. They do admit that sometimes, it’s a second full-time job, but that never deters them. “Nothing scares anybody!” Scott says. “Everyone just rolls up their sleeves. 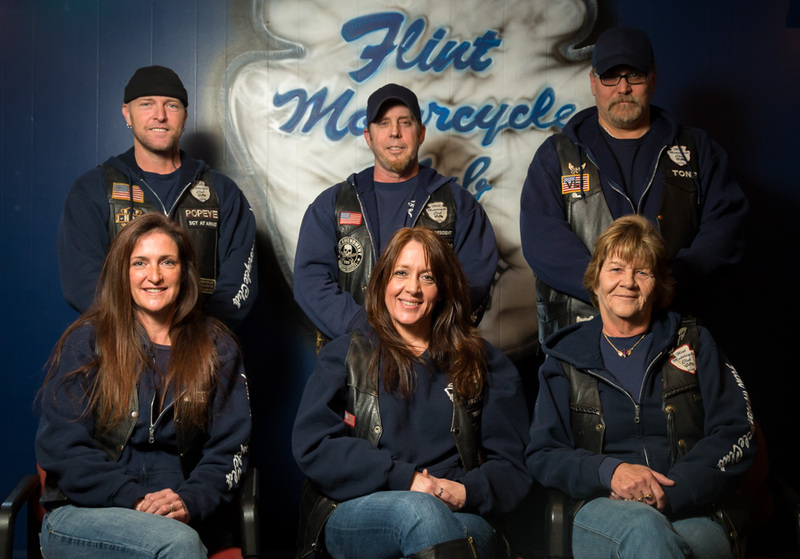 It’s work, but it’s still fun.” Kelley adds, “At the end of the day, we’re always glad we did it.” Ranging in ages from 22 to 72, they all feel a huge sense of pride so see their “families” grow. “We all click,” says Tony. And, there’s also diversity among the members. 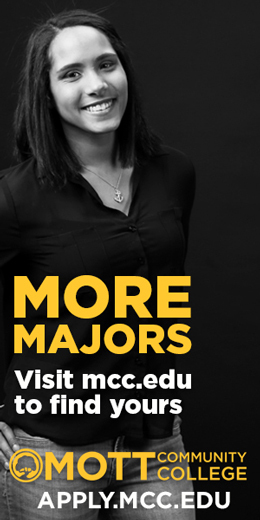 “We count on each other,” adds FMC member, Crista “Turbo” Lowell.